Originally discovered by accident during World War II, the microwave oven has transformed the American kitchen. Today, countless Americans are microwaving entire meals due to the increased demands on our collective time and energy. Single people use the microwave because it’s uniquely well-suited to quickly heating smaller portions of leftovers, individual frozen meals, and even makes an outstanding bag of popcorn for a lazy Sunday night meal replacement. Meanwhile, today’s families use their microwaves for reheating larger portions of leftovers and making entire meals occasionally because there is only so much time in a day. Today’s typical American family requires both parents to work, each child to participate in at least one or two extracurricular activities, and usually there are countless social gatherings to attend as well. So, it’s a fact that nearly 90% of today’s American households have microwave ovens in their home, and most of them are being used somewhat regularly. Here are five more interesting facts about today’s microwave oven as stated in A Brief History of The Microwave Oven. It’s true that the first Microwave was discovered by accident during WWII. The other interesting fact about that is that it’s inventor was a man by the name of Dr. Percy Spencer, considered by many as one of world’s biggest experts in microwave energy technology. Strangely enough, he was also lacking a high school diploma. The first microwave was approximately six feet tall and weighed over 750 pounds. Try mounting that baby under your cherry oak cabinets! It also cost around $5,000, so needless to say it wasn’t a very popular item. It wasn’t until around 1967 when a unit was produced that could actually accommodate most American kitchens and sold for roughly $500. Initially, microwaves were really only useful for restaurant and industrial applications. 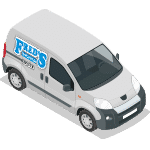 They allowed restaurants to keep food fresh in the refrigerator and then heat them upon ordering, which was a huge advantage to keep more customers coming in and out at a faster pace. Eight years after the first affordable model was introduced, microwaves outsold gas ranges and dishwashers. Yes, today over 90% of all American households feature a microwave oven. What may be more impressive, however, is that a recent study revealed that Americans consider the microwave the number one invention that makes their lives easier. 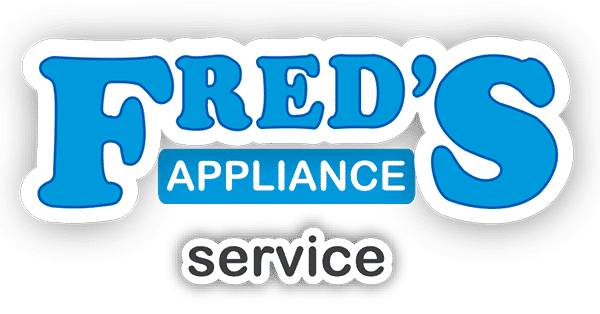 “Fred’s Appliance Service” is a group of fully trained experts in the field of microwave appliance repair in the Cleveland, OH area. 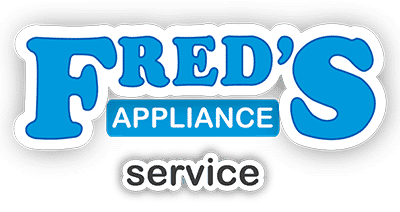 We also offer expert repair services for just about any other kitchen appliance you may need help with. For more information, please contact us today.